I was intrigued by the name…Anatra means duck in Italian! The Villa Anatra has such a grandiose presence…it is truly special! 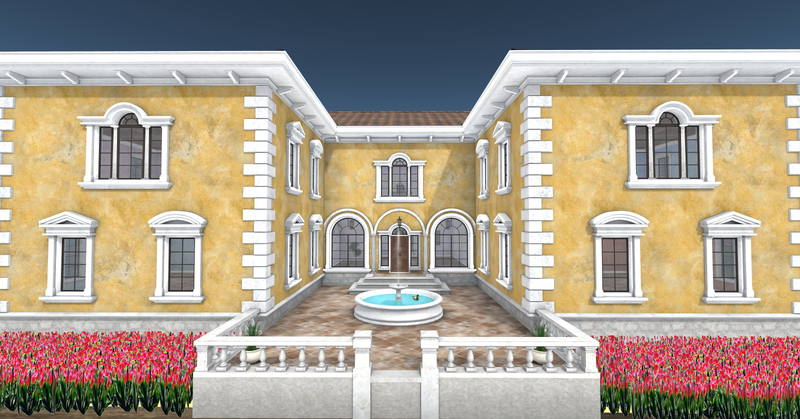 The front façade has a three arch entrance veranda as its graceful centerpiece. 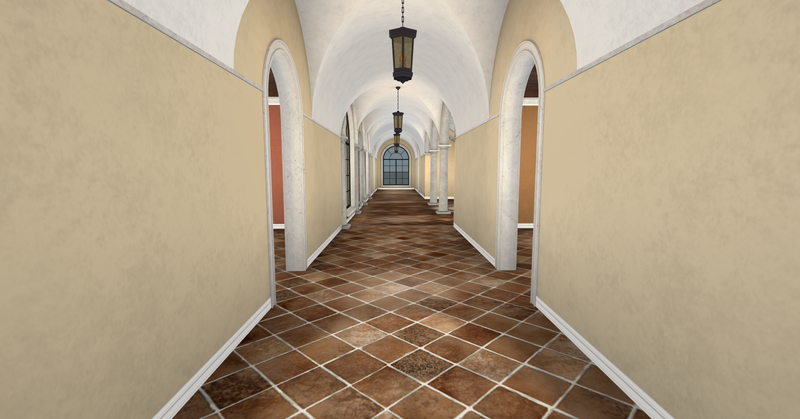 Golden limestone that has gently aged through time adorns the elegant exterior walls of the villa. Above the verandah, a carved stone balustrade balcony crowns its regally! 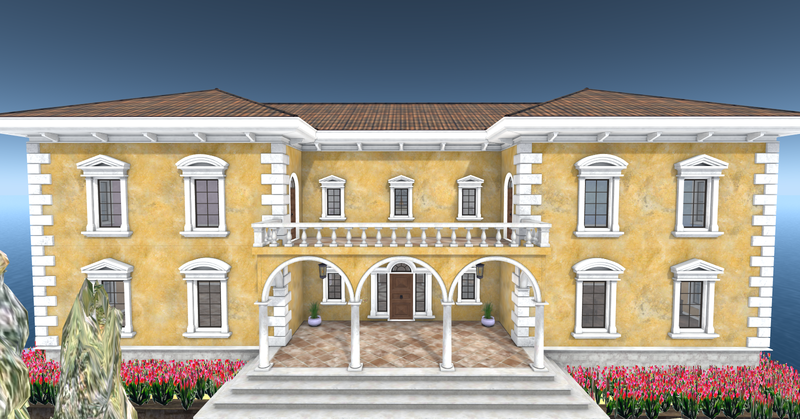 The villa’s exterior corner edges are decorated with white quoins as accents that adds to the allure of Villa Anatra. This along with the red color of the terra cotta tile roof begins your seduction….making you want to open the wooden door that is surrounded by palladium windows with a transom top and on either side of the door 2 delightfully large outside black lanterns to illuminate her beauty at night. The Villa is designed in such a way with many windows that affords you and your guests equally spectacular views in all directions of your land, no matter which room you are in! 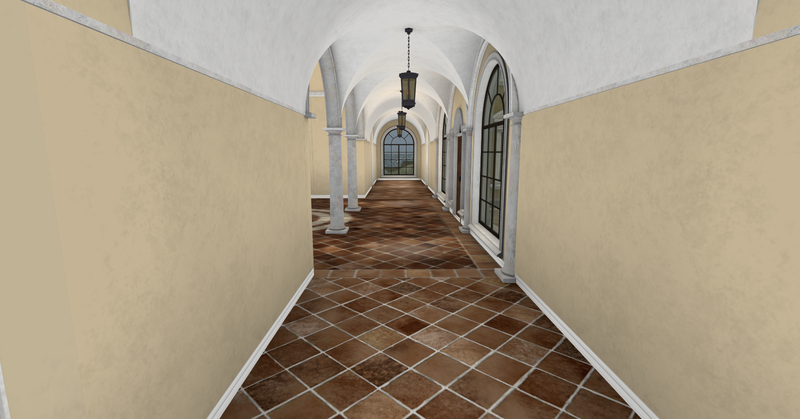 As you enter, you are blown away with the look of the tiled breezeway that connects the living spaces of the villa! It also leads to the outside back courtyard that has an amazing fountain for your pleasure and the villa’s pet duck swimming happily in it! The mixed terra cotta tile of the floor and the magnificent stone and marble of the adjacent balustrade grand staircase cannot help but to impress the most jaded of visitors. As you can see from the pictures, he has succeeded! If you cannot tell by now, I am in LOVE with the Villa Anatra!!! You must take the below limo to Maven homes and see Villa Anatra in person! 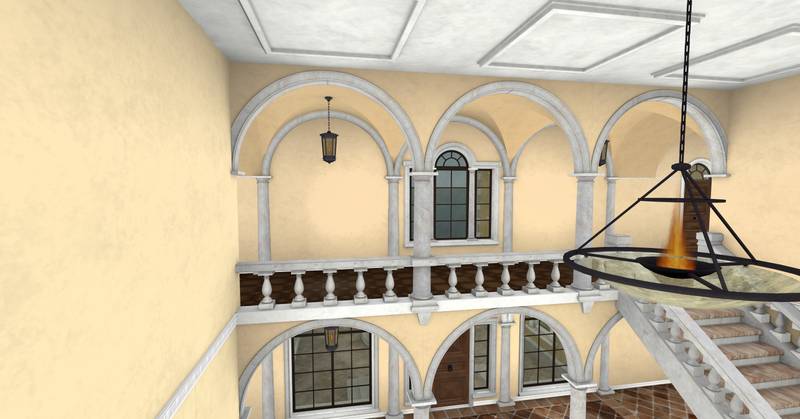 As you look above you at the huge fire lit chandelier, the fantastic molding of the ceilings above, the cathedral arches, the coffered ceilings of the rooms, the Tuscan Columns, and corridors, you are swept away to another time! The archway of the doors, the decorative trim along the walls and the half columns that form gorgeous marble arches upon the walls that are spaced along the upper and lower level middle section of the walls, you find yourself impressed by the old world charm of the villa and feel instantly an affinity for her, smiling, the villa is drawing you in with her beauty and you can’t help yourself! On the main level you have the Living, Dining, Study Rooms, the Kitchen, and the beautiful long corridor leading from the breezeway. 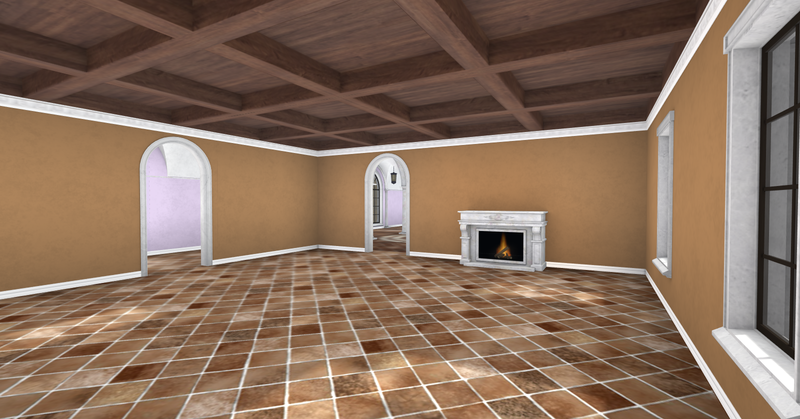 There are also 2 large fireplaces, downstairs, in the villa. 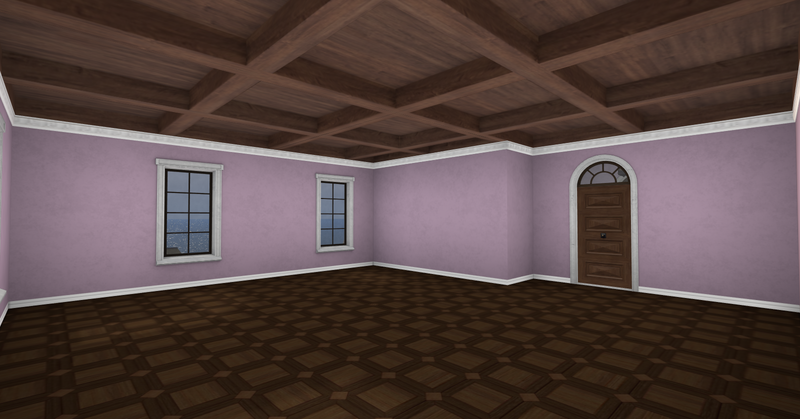 Upstairs, you have 4 bedrooms, 2 bathrooms. The floors are exquisitely covered in dark Parquet Wood and the bathrooms are Sandstone tiled. 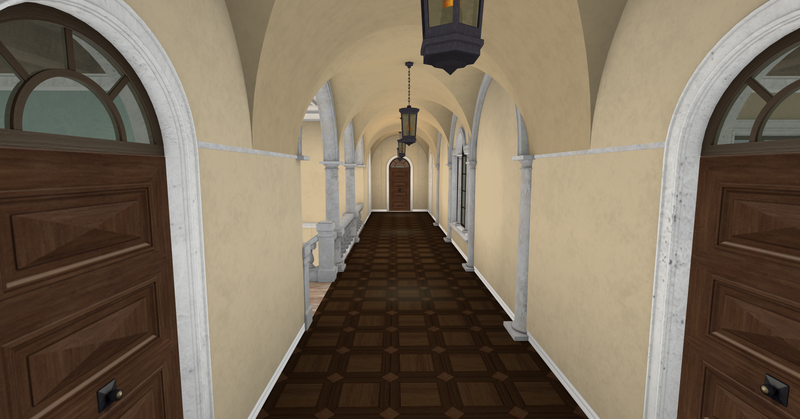 The master bedrooms on either end of the corridor both have entrances that lead to the front balcony. The villa is spacious and very well made. There are none of those jagged edges anywhere or alignments problems. The home is perfect for entertaining and gracious living! Standing from the upper corridor overlooking the breezeway, pride of ownership will make you smile. You too will fall under the spell of the Villa Anatra and be romanced by her! 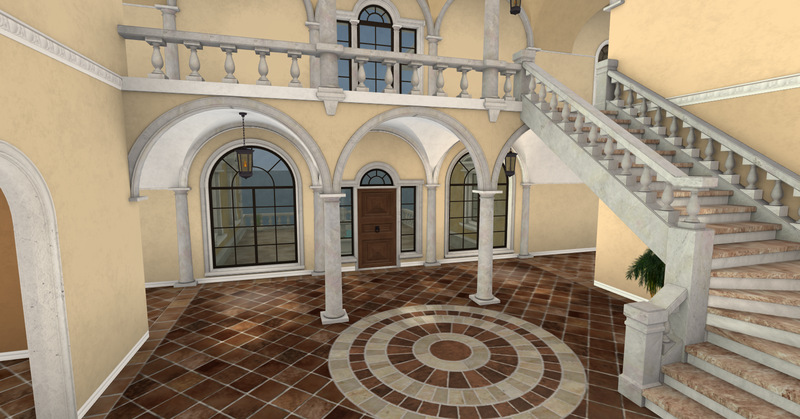 Below are some basic facts about the Villa Anatra as supplied by her designer! The recommended parcel size is just a recommendation; please verify that your parcel is large enough and supports the necessary land impact before purchase. 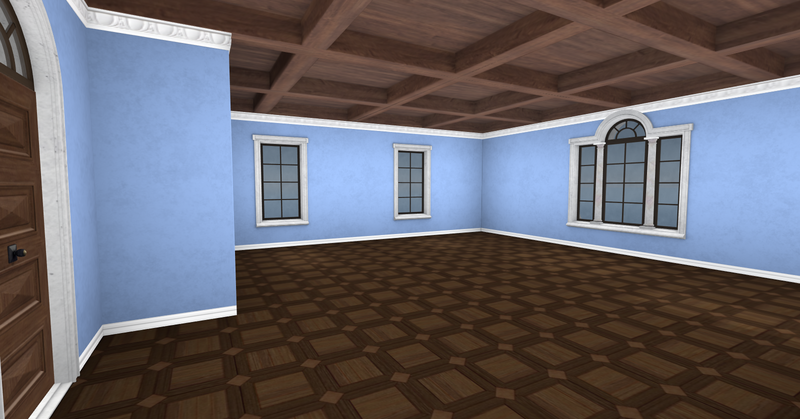 Please keep in mind that you will need capacity for furnishing and landscaping as well. The Sultan’s bride, a Chinese Princess, is being given in marriage to the Sultan of the Ottoman Empire, as a political pawn to help cement the two warring countries in peace and the nuptials were to be carried out within the next few days. The princess was assigned a slave girl, who was beautiful, smart, and more exquisite than her mistress! The slave girl slept outside her princess’ rooms each night. During the day, when the sultan came to visit her mistress, the slave girl made sure , he saw her. That night as she laid upon her rug, she could hear the shrieks of her mistress as to why the wedding had to be postpone! When the sultan came from the room he looked at her and smiled. Later that day as she carried out her duties in caring for her mistress, a wondrous golden handkerchief, unlike anything she has ever seen in her, life was being delivered upon a golden tray! It had tiny seed pearls and small topazes sewn upon its border edges. Everyone was in suspense as who would be the favorite that night. The messenger handed it her…as she was the chosen one for that evening! She was not a part of the sultan’s harem, just a mere slave girl. The gasps and the whispering among the other slaves, as the gossip quickly spread about her throughout the palace and among the harem, as a slave girl has beens chosen, unheard of! Soon some hurried to curry favor from HER! Smiling…Oh the stories and pictures you can make up with amazing props, especially those made by Kay Weston of Image Essentials! I admit I got carried away, but her Sultan’s Bride Rug Prop was fun to pose upon and it put all kinds of ideas in my head! It is a patterned rug that has pillows strewn at one end and copper decanter. In the style of the Arabian nights. It has 3 pose positions, which I have taken the pictures of. This awesome prop can be yours for a mere 50 lindens!!! At Kay’s store, Image Essentials, there’s a fifty linden wall for some amazing prop, including this! Take the below magic carpet to Image Essentials and stock up on props for your pictures and stories! 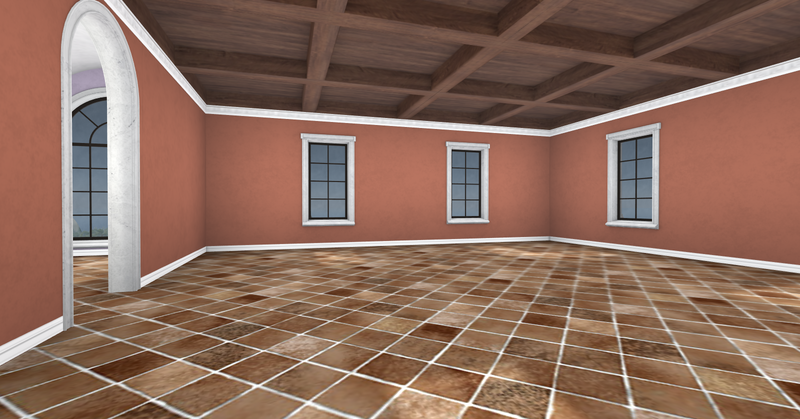 Excellent made props and poses give life to our pictures in Second Life. Now’s the time to buy quality and quantity!!! Speaking of which, there’s a also a sale at Image Essentials!!! It’s weekend sale time at Image Essentials and this weekend there is something for the guys and something for the girls. These items are now available in the new Discounted / Sale section on the ground floor of Image Essentials. When one travels, one is so very confined as to what you can bring. The porter scoffed at having to load my 10 trunks and I told him that is my light packing! I had maid pack the new deliveries from Baboom. I have just returned to my luxurious double cabin state room aboard the famed Orient Express! I had dressed earlier for breakfast about an hour ago, but the train will be soon stopping and I want to leave the train fashionably attired. Since I am on holiday, I am limited to being able to change only 8 times a day! My maid is traveling with us, and she has laid out for me to wear the new Solea Dress by Baboom. Solea is a 2 tone aqua green and sky blue maxi dress. It has a one shoulder aqua green tank top style bodice which shows off my nicely toned arms perfectly! All that tennis, you know! On the body of the dress there is a image of a beautiful muse and the floor length skirt is a solid blue. Where is maid when I need her!!! I have to spritz my own perfume!! 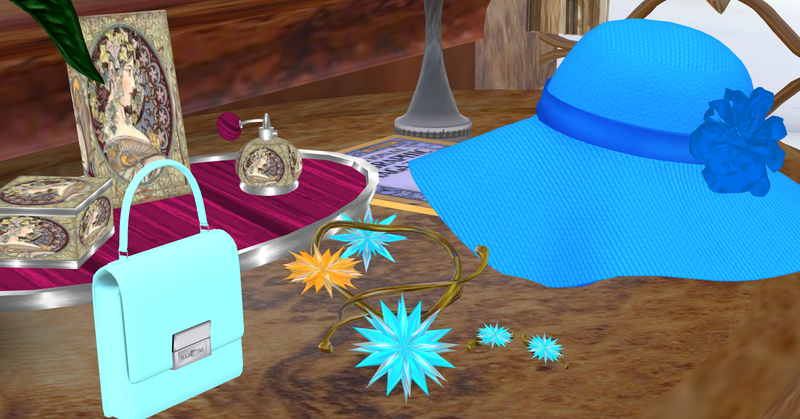 She is probably trying to pick up one of the porters again….at least she remembered to lay out my accessories. Baboom has introduce a new purse called the Maddy Mesh Handbag, which comes in 7 delightful summer colors! It is so cute and compact size! Maid just have to come and carry my makeup! My maid has also chosen, from among my jewelry, my new Baboom Summer Turquois Necklace and Earring Set. I am horrible at dressing my self…where is she! At least the girl put out my matching Summer Hat Blue before she filled her head with thoughts of chasing men! Pouts petulantly…my shoes are missing! We are passing the famous Le Fournil Du Village, in Montmartre…. they have the most divine sandwiches there! I wont be able to manage all of this alone…oh well the train waited 5 hours for me to come …they just have to wait until I am dressed fully in my new Baboom chic Solea Dress and matching accessories! Your curb side limo awaits you to Baboom! Smiles, a house is not a home… when it is a hat!!! I found this really phenomenal hat at the Art in Hats, Hats in Art Exhibit that runs thru July 28th. You should enjoy your style…after all style is not just what we put on our bodies whether pixel or real, but a way of life! As I ran around the grid in my AZUL Rachel-Sapphire Miss Portugal MMV2013 Gown, which comes in several colors, with a black delicate lace patterned bodice and matching arm lace that billow out to romantic looking lace trimmed chiffon sleeves. The silhouette of the gown is a body skimming column that clings to your curves with a long flowing attached uneven scalloped edge hem chiffon skirt. There is also a silver collar trimmed in the same chiffon of the skirt which you can wear with the dress or without and an optional full ball gown skirt. I received many compliments and comments about being different. Sl is a place where we can express our individual creativity being anything or wearing whatever we choose. There are far more worse things than wearing an exceptional piece of art upon your head with a beautiful dress to ponder over in sl or anywhere else. The pose I chose says..so what, I have a house on my head! A house is not a home when it is sitting exquisitely upon my head! 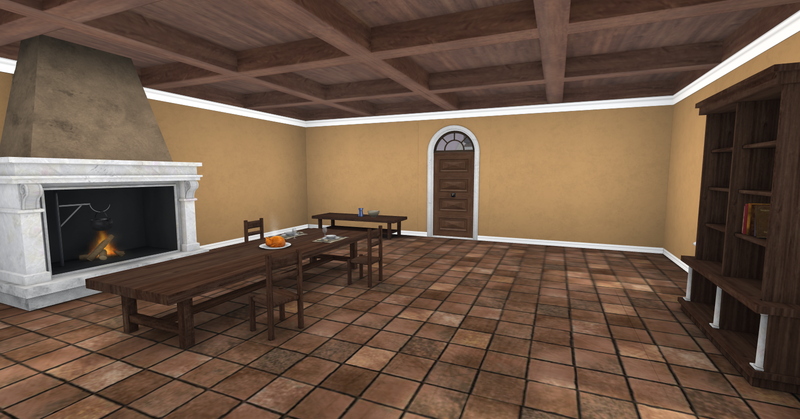 Enjoy the world of your making in SL! Btw…the hat is free. It comes with a costume that is given away at the ART IN HATS-HATS IN ART Exhibit. Vero Modero has just released a fantastic animal print sheath dress name Suki Tiger. It is one of those dresses that can be dressed up or down with just a change of accessories and take you through many social summer events for the lady on the go! The tan, white, and black print of the dress make it very flattering and a must have for your summer wardrobe needs! Included but not shown are the epaulets, which gives you another style option look for this gorgeous dress . Animal prints are all over the summer fashion scene for this season. This dress is part of the collection for I’m Not Your Toy” Charity Event. I have this really cool set of poses called Pop Art by PosESioN. I used pose 4. I love the look of movement with this pose with this dress! Her life was governed by others…where she should be, who she should be with, the time, what she should or shouldn’t wear, and where she should go. Looking in through the gilded bars of the cage, of her world, you would label her life privileged and envy her. She wanted for nothing…except freedom to choose for her own self, her life’s course. This evening, she had had enough and escaped outdoors to the adjacent garden and removed her shoes, and walked barefooted in the warm evening grass. Something which one of her station shouldn’t do, as it wasn’t proper, as her handlers would say to her! To the onlooker, she looked exquisite in her Pearl AZUL ValScatter Miss Venezuela MMV2013 Gown. The skirt of the gown billowed gracefully around her legs as the cascading flowers on her gown moved with each step she took, as though they were blowing in a gentle summer night’s breeze, revealing the mid knee length sheath skirt beneath. The gown fitted her perfectly! Her black belt had a large flower upon it that draws the eyes upward and adds a bit of drama to the area of her waist. Pensively she absently touched her pearls, lost in her thoughts, as her arm brushes the silk of her strapless bodice ruffles, she notices how soft the material is. It came to her then to just enjoy her stolen moment in her romantic Azul ValScatter Gown before her handlers found her. She thought about other people lives and the freedom they enjoyed and finally came to the conclusion that one only sees the green of the grass and not the weeds in the yard of another’s life , of their gilded cage. I used the awesome new Yula Set Pose 5 made by the amazing god of movement and grace..PosESioN. Take the below limo to the store and check out the Yula Set and many others for bringing life to your pictures!